It’s a normal day. You stop at “your” Publix, Wal-Mart or Whole Foods. We all have “our” stores – the ones close to our house where the staff recognizes you and your family. You might stop for milk and bread or maybe it’s your big shopping day of the week. But then, it all goes horribly wrong. You slip and fall on grimy, dirty food on the floor. You trip on a mat that is bunched up or broken. You get hurt in the parking lot. What do you do? The Miami Slip and Fall Lawyers at the Wolfson Law Firm are available to answer your questions free of charge. Please review our qualifications and our recent cases. Our managing attorney Jonah Wolfson is a bilingual personal injury lawyer in Miami. Jonah and his personal injury team stand ready to help you and your loved ones after any type of personal injury. Just call (305) 285-1115 for your free consultation and remember, we only get paid if you recover. So, call today and get the answers you need. If you can’t get up after you fall, ask someone to get the manager. You want to make sure the manager sees you, what made you fall, and and where it came from. It could be food that spilled on the floor. It could be water on the floor from vegetables and fruit or a leaky refrigeration unit. Do your best to remember what the manager says and does. It will very likely be important at some point. Ask the manager if he or she is going to make a report of your fall. This is important but you cannot force anyone to make a report. 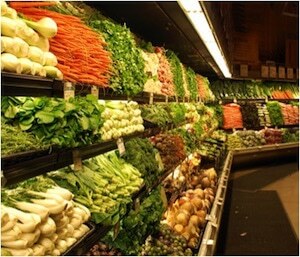 But most grocery stores and supermarkets will write up a report to record the date, time and location of the accident. They will likely ask you for your contact information. Keep in mind, they will also write down whatever you say - especially if you say something like “it was my fault” or “I’m sorry”. Since you don’t know all the facts, it is best if you do not accept blame or fault until you and you Miami Personal Injury Lawyer have the opportunity to investigate all the facts. Lastly, you can ask for a copy of the report, but it is very unlikely that the manager will give it to you. But it never hurts to ask. If you are injured, ask the manager or store employees to call 911. If you even have a doubt, ask for medical care. You will need to keep this in mind. If you are offered medical care and refuse it than the manager will make a note of that in the incident report. Second, if the paramedics come and you end up going to an emergency room, then you have also created further evidence of your injury. So our Miami Premises Liability Attorneys always advise: when in doubt, get it checked out. The supermarket or grocery store is not going to make it easy for you. You will be forced to prove every part of your case. That is why our Miami Personal Injury Attorneys stress the importance of getting the contact information of potential witnesses. While your family and friends can be witnesses, independent witnesses are the best kind of witnesses because they don’t have an interest in the case. Witnesses can include not only those who saw what happened but what the supermarket employees and/or manager did before and after you fall. Maybe they saw an employee walk by the mess on the floor and not clean it or warn anyone. Witnesses might include other consumers who almost fell on the same condition. Our Miami Slip and Fall Lawyers always recommend to get the names and numbers of any potential witness. In our investigation we can determine if those witnesses are helpful. You and your family and friends have the most powerful evidence collector in your hands – the cell phone. You and those with you have the ability to take photographs of your injuries, the scene of where you fell, the people around you. You also have the ability to video tape the area where you fell and what caused you to fall. If there is a problem with the mats by the door – take a picture. If you were hit by a door then video tape it. If you were poisoned, take photos of the food, the wrapper and your receipt. Always err on the side of taking too many photos and videos. Our Miami Serious Injury Lawyers can also help you understand the other types of evidence that will assist you in achieving full, fair and complete compensation and justice. Just call us today at (305) 285-1115 to find out more. Our personal injury attorneys at the Wolfson Law Firm in Miami have been helping folks injured in supermarket injury accidents for over 60 years. Let us help you – today. We have helped people achieve justice and compensation for injuries at Wal-Mart, FIU, Miami-International Airport (MIA), Aventura Mall, Dolphin Mall, Dadeland Mall, Merrick Park Mall and at the Fontainebleau. Our clients have lived, worked or were injured in Weston, Allapattah, Miami Gardens, Westchester, Miami Beach, Little Havana, Brickell, Homestead, Coral Way, Tamiami, Pembroke Pines, Hollywood and throughout Florida. Our personal injury attorneys are also available by appointment in our Fort Lauderdale and West Palm Beach offices. In addition, we now have an office in Fort Myers. Fort Myers slip and fall attorneys of the Wolfson Law Firm are located in Fort Myers at 3049 Cleveland Ave #140. From our Fort Myers office, we assist injured victims in the communities, neighborhoods and towns of Southwest Florida including but not limited to North Fort Myers, Lee County, Lehigh Acres, Estero, Immokalee, Cape Coral, Fort Myers Shores, Collier County, Bonita Springs, Fort Myers, Naples, Sanibel, Golden Gate and Marco Island. Call our Fort Myers accident attorneys today for your free consultation at (239) 777-9954. We never charge a fee unless and until we achieve a financial recovery for you. Get the answers, compensation and justice you are entitled to – take the first step and call us today.